I recently listened to Michelle Brenneman’s intriguing message entitled “Taking on the Systems of Oppression” where she informed and motivated us to consider alternatives that were already within our reach. One part of this could be as easy as purchasing Fair Trade Certified (FTC) products instead of our current brands. This is an easy way to redirect our existing spending in a manner that directly benefits others. One such FTC product is coffee. Since coffee interests me, I did some research and here’s what I discovered. But then I thought, “What if I don’t like the coffee? What if it is 10 times more expensive? What if I have to drive to timbucktwo to get it?” So some research was in order. I quickly discovered that there are a host of so-called certifications for coffee. Fair Trade Certified (FTC) is only one such classification. Another common one I encountered when looking on the supermarket shelves was called “Rainforest Alliance.” It sounded good on its website, until I noticed what it was not saying. For example, no minimum market price is paid to farmers, which is a big issue in this industry. In fact I found that FTC was the only certification which guarenteed a fair market price was paid directly to the farmers that produced the product (coffee in this case). Seventy percent of the world’s coffee farmers are small-scale growers. Rainforest Alliance coffee comes from the other 30% which are coffee estates and large-scale farms (plantations and farmer groups). In addition, for a Rainforest Alliance farmer to become “certified” only 30% of their output needs to meet the Rainforest Alliance guidelines. In contrast, 100% of a FTC farmer’s output needs to meet FTC standards. I discovered other certifications, but none of them came close to what FTC represented for the producers (farmers) and their families. With a few Google searches I soon discovered that FTC coffee is available everywhere. There are even websites that list stores where you can find FTC products (e.g. coffee), and many stores promote on their websites that they carry fair trade products. So, FTP products are easy to find. So I picked up three types of FTC coffee and took them to work a few days ago (we go through lots of coffee at work). We are enjoying them. Thus far, everyone likes the taste. The three I chose were under the President’s Choice label and they were: Latin American Dark Roast, African Medium Roast, Indonesian Dark Roast. Your taste preferences may vary, but there are many options to choose from. The FTC coffees I chose were located in my normal grocery store on, you guessed it, the coffee shelves. Regarding pricing: When I first scanned the prices on the coffee shelves, I originally thought that the FTP coffee was a fair bit more. Then I looked at the size of the various coffee containers. Ok, “apples and oranges.” I found coffee in sizes ranging from 250g to 500g. I actually recorded all of their names, sizes & prices into my smartphone (ya I did) and did the analysis at home. This included brands Maxwell House, Nabob, President’s Choice Gourmet & FTC types, Starbucks and Tim Hortons. When I converted the prices to the cost per 100g, the FTC coffees (454g) were only 11% more than many of the other coffees in the size range (ignoring the Starbucks coffees that were almost twice the cost/100g of everything else). However, I’m not comparing to the huge 1Kg cans which are a bit more cost effective. I have no problem paying a bit more for FTC coffee, especially since it provides so many benefits to others (and it also tastes good). I also like that I am not throwing out a metal can each time its coffee has been consumed. The above is a snapshot of some of my research. Feel free to do your own research and reach your own conclusions. So for our family and for where I work, we are now enjoying FTC coffee. It’s a small thing, it’s an easy thing. Dare to take a small bite of the proverbial elephant. And mention it to someone else if the topic comes up — maybe write a blog article 🙂 … trigger a “butterfly effect” of your own. Thanks for taking the time to explain what the Rainforest Alliance does, as I’m sure it will be informative to the readers of this blog related to their various available purchasing choices. You may have noticed that the article doesn’t explain all of the good things that Fairtrade Certification does for farmers, their farms, training, sustainability, etc., nor does it explain all of the good things that Rainforest Alliance or other certifications do for farmers, their farms, training, sustainability, etc. Instead, the article was merely focusing on the differences between these certifications (not the many good things that both programs bring to the farmers/farms/etc.). Thank you for adding the additional information about R.A.
Hi Doug, thanks for this blog post! Consumer choice really can make an impact on the livelihoods of farming communities across the globe, in addition to the environment! However, I do want to address a few inaccuracies in your blog post, and your criticism of the Rainforest Alliance. The Rainforest Alliance does allow companies to the green frog seal if contents contain 30% Rainforest Alliance Certified content, but companies must clearly display this fact on packaging. In part because of the demanding certification standards, which were established by grassroots conservation groups, it takes time to build supply. Allowing companies to use the seal before they have reached 100%, but have made a commitment to increase to 100% as soon as practicable, is a realistic approach that benefits workers, their families and wildlife. 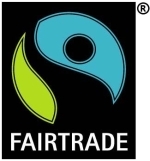 Fair Trade has come to agree with this approach since their seal now appears on products that are less than 100% Fair Trade Certified. I’m sure you have heard the saying “Give a man a fish and he will eat for a day. Teach a man to fish and he will eat for a lifetime.” This applies to Rainforest Alliance certification – which does not guarantee a minimum price but emphasizes improving farming, rather than alternative marketing schemes. The Rainforest Alliance teaches farmers to farm smart with a farm management system, growing their bottom line and conserving the fertile soils and natural resources on which their children will depend. Any farmer’s success depends on crop quality, productivity and cost control. The Rainforest Alliance program addresses all of these. The program is a hand up for those who need it, not a hand out. It gives farmers more control over their own futures and empowers them to be better business people. Higher prices are important, and most farmers in the Rainforest Alliance certification program are getting significantly higher prices for their goods. But farmgate prices are not a panacea. The system that is putting an emphasis on price is missing a number of other critical elements that influence whether or not farmers get out of poverty. We see many farmers earning high prices and still failing. Successful farmers learn to control costs, increase production, improve quality, build their own competence in trading, build workforce and community cohesion and pride, manage their precious natural resources and protect the environment. This is what Rainforest Alliance certification focuses on. Great post, Doug. My house church suggested recently (in light of our Living Red theme) that we could serve Fair Trade coffee at our house church. I wonder if there are decaf ones? I will check this out. Thanks for sharing your research.